Unfortunately, we do not accept returns or exchanges. Please read all product listing details and policies here before submitting your order. ALL 28 UNITS PRODUCTS ARE PRINT-UPON-ORDER! WE DO NOT STORE OUR SHIRTS IN A DUSTY OLD WAREHOUSE. PLEASE ALLOW 6-8 DAYS FOR FULFILLMENT. PLEASE SEE SHIPPING AND POLICIES FOR MORE DETAILS. How many times has a juicebox saved your life? 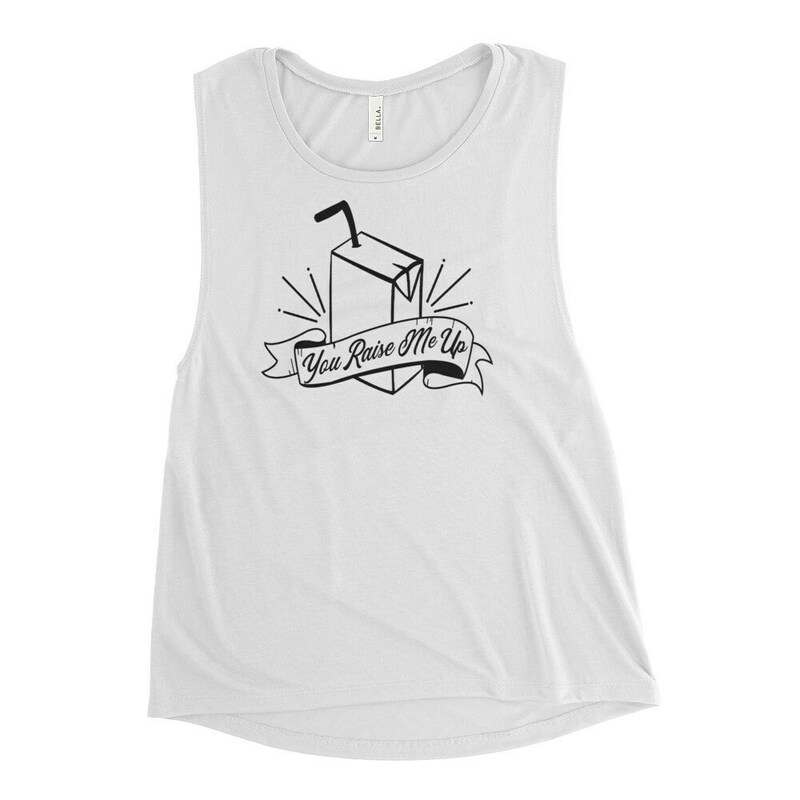 show some appreciation with this rad muscle tank!! No. Unfortunately we do not accept returns for any reason. 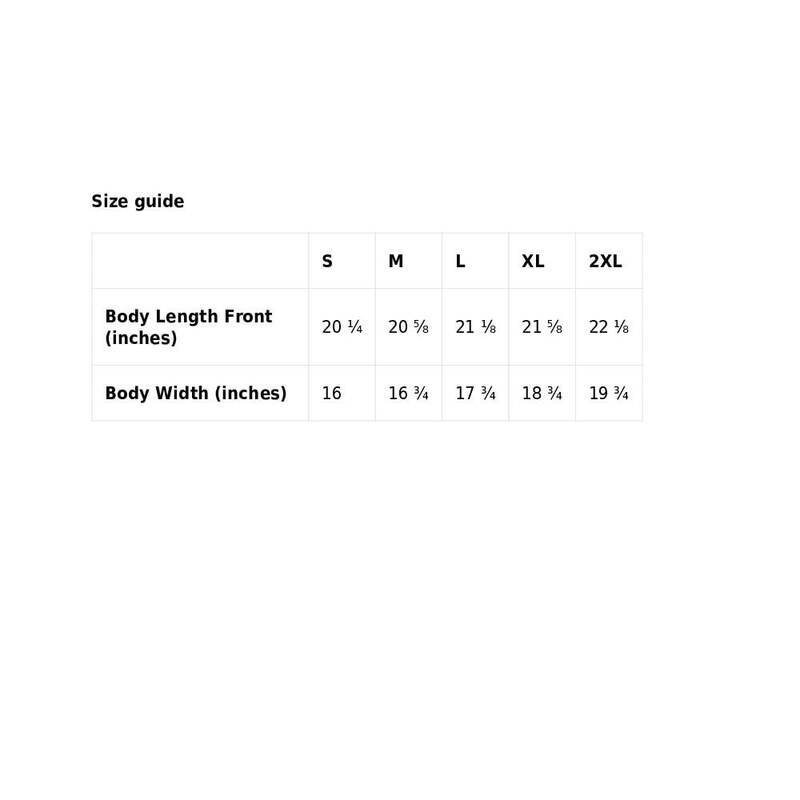 All Sizing, Care charts and policies are posted for consumer use. We will be more than happy to accept an exchange ONLY if the item received is damaged. Please contact us immediately (within three days of receipt of delivery) to notify us of the damage. If determined to be eligible for exchange, we will provide shipping instructions and a timeline for the new item to be sent to you. Unfortunately, orders with sizing/fit issues are not applicable for exchange. Sizing details are posted on each item listing for customer use. Unfortunately, orders with sizing/fit issues are not applicable for exchange or return. If you have any further questions, please feel free to contact us. 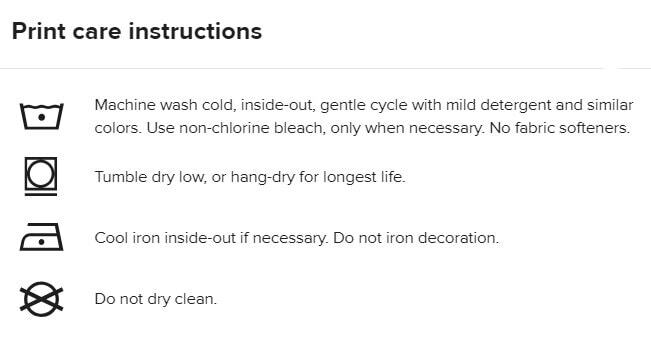 Care instructions are posted on each item listing for customer use. What is an average shipping/delivery timeframe? All orders are print on demand and have an estimated fulfillment of up to 10 days. Standard shipping timeframe applies once fulfillment is completed. Orders can be cancelled with a return of funds within 24 hours of submitting. After that timeframe, orders will have entered the printing process and cannot be cancelled. What does 'processing time' mean? All orders are print on demand and have an estimated fulfillment of up to 10 days. "Processing time" is the duration of the printing process prior to shipment. Standard shipping timeframe applies once fulfillment is completed.